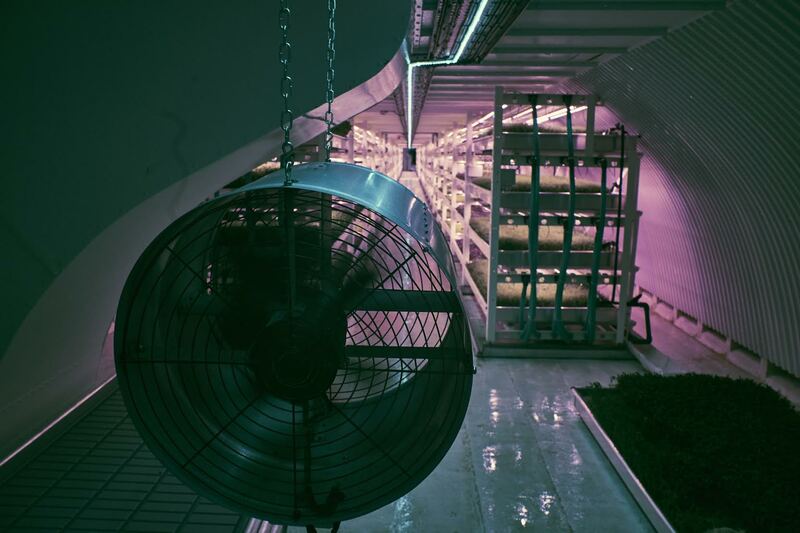 Most of the veg we eat starts life underground, but usually pops up into the sunshine to complete the process. 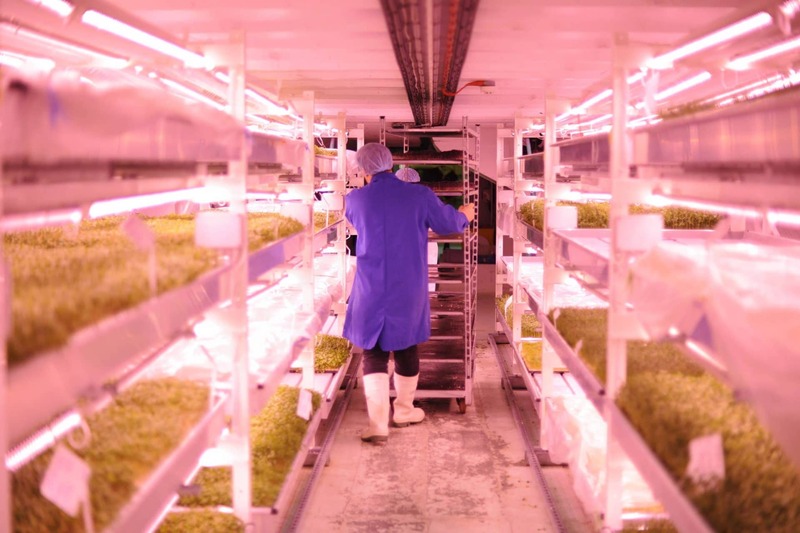 Using the latest hydroponic systems and LED technology, Growing Underground is a pristine, pesticide-free farm that occupies tunnels which served as bomb-shelters during the Second World War a hundred feet (33 metres) below Clapham, London. 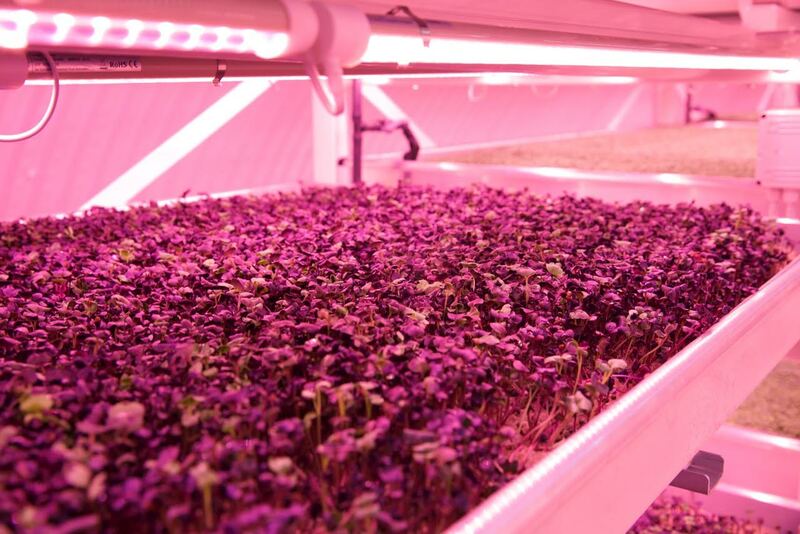 The plan is to harvest leafy greens such as rocket and sorrel, herbs like Thai basil and a range of micro-greens year round and supply them to consumers across the London area. The target is eight hours from field to fork, and radish and mustard leaf are already growing and being sold through Covent Garden market. With a huge local market, the farm will reduce dependence on imported crops and drastically cut the food miles for retailers, restaurants and domestic consumers. 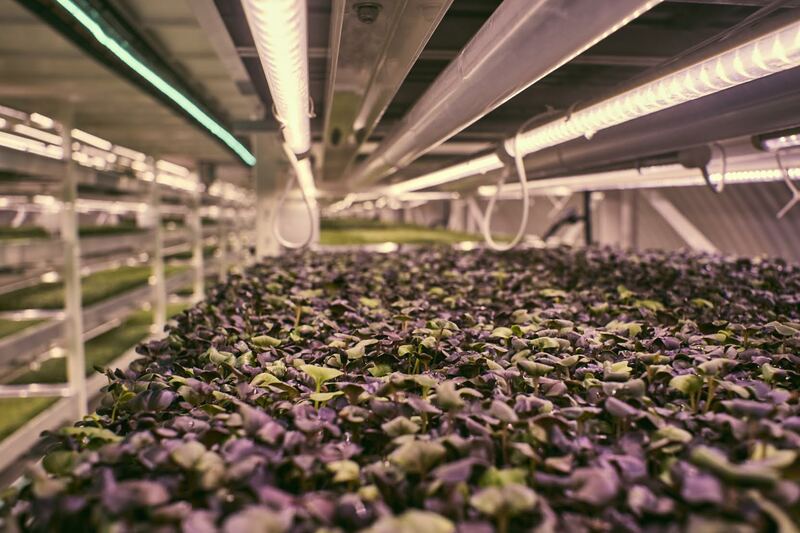 Growing Underground’s hydroponics system uses 70% less water than traditional open-field farming, and because nutrients are kept within the closed-loop plant, there’s no risk of agricultural run-off. The project was launched in 2012 by Richard Ballard and Steven Dring, who have been joined by chef Michel Roux. The team has raised £750,000 to fund the startup costs and is looking for investors for the next phase. 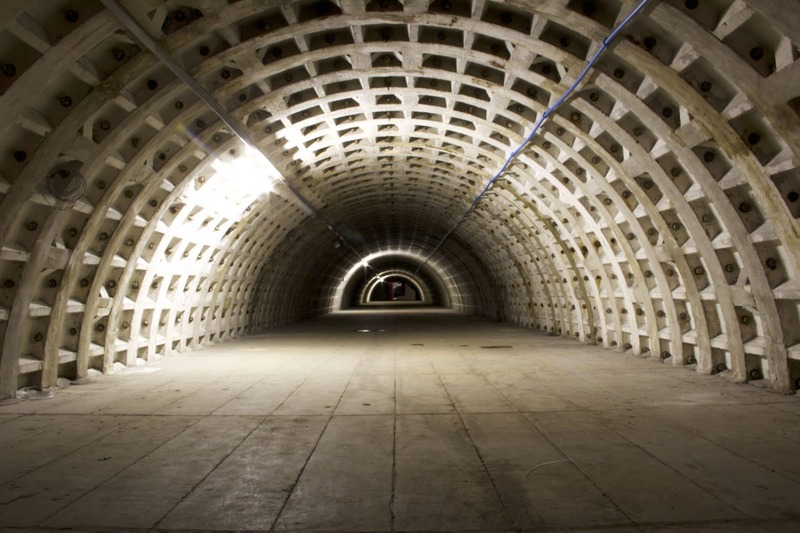 The company eventually hopes to have 2.5 acres under cultivation in the tunnels in an enterprise employing 20 people.